Just like any variation of the human condition, some people are left-handed, and some people are not. Some people have two different colored eyes, and some people don’t. Some people are allergic to dairy, and some people are not. Some people are transgender, and some people are not. In some of the trainings I do, I ask the question: when is gender pathological? It’s basically a trick question, because gender isn’t pathological. Gender just is. It has neither good nor bad qualities. Yes, distress can come from feeling like your exterior presentation does not match your brain gender identity, and distress can come from society not understanding your gender, but gender in and of itself isn’t distressing. It just is, and we all have a gender identity even if that gender identity means not having a gender at all. Parents come to me with various theories for why their child may be transgender, or at least “presenting” as transgender. I’ve heard many different theories over the course of my years in working with transgender children, and many similar ones. I think space needs to be held for these parents wondering “why?”, and their theories should be listened to and considered. However, sooner rather than later there needs to be a time to take the “why?” and replace that with “OK, now what?”. In the end, the “why” doesn’t really matter. What matters is the child’s happiness. Some people wrongly believe that being transgender is some form or sign of mental illness. In fact, even some professionals will use the term “co-occurring” when they speak of someone being transgender along with having a mental illness. Being transgender is not a mental illness. There is not a certain “type” of person with a certain set of presenting problems who is transgender. When it comes to disclosing one’s transgender status, I encourage my clients to think about it in terms of PRIVATE or SECRET. Some people are more private in general than others. Some people will tell others pretty much everything about their lives, while others try to keep most things private. Both are ok, as long as the individual is the one doing the deciding about what to keep private and what to share. Just as most things land on a spectrum, so does one’s feelings about exactly how private being transgender is. Some are “out and proud”, being the first in line to wave the transgender flag in the Trans* Pride parade. Others, on the other end of the spectrum, guard it like a deep, dark secret; one they feel could devastate them if others were to find out. In my opinion, one can land on this spectrum based on temperament, upbringing, personal background, etc. I will say that those on the “secret” end of the spectrum seem to experience more intense dysphoria and internal distress than those who have a healthier relationship with being transgender. Sometimes it does seem to be in the client’s best interest to shift from “secret” to “private”. This entry was originally written as a Social Skills Group topic, so the wording may seem relatively elementary. It is for that reason that this can be shared with both kids and adults! If you have a child who is either very private about their transgender experience or is contemplating who to tell, this would be good to read together and process. PRIVATE: Something about you not everyone needs to or should know. SECRET: Something you don’t want anyone to know. Secrets can be fun, like you what you are going to give someone for Christmas. Or, if someone is throwing someone a surprise party, they will want you to keep that a SECRET from the recipient. Secrets like these are important because they are about doing something nice for someone else. Other secrets are not healthy, such as an adult asking a child to keep a secret from their parent. Other secrets are not good or bad, but might be important to others. For example, if your friend tells you who they have a crush on, they might ask you to keep it a “secret”. Of course, what you look like under your clothes is private! Only a child’s parents, guardians, or doctors should see their body for the purpose of keeping them healthy and taken care of. For older individuals, they can choose with whom to share their bodies in a more intimate setting. An important qualification I want you to keep in mind is that personal information about you should be considered PRIVATE, and not necessarily SECRET. I believe this results in less stress, more self-acceptance, less anxiety, and more confidence. Mainly this has to do with how you guard the information in your head and in your heart. If you feel like there are some things about you which you would rather not have everyone know, or would choose only a few people to know, that’s okay. If you have a secret that you feel like “I would just DIE if anyone knew!”, that can affect your mental health negatively. If you feel you have a secret like this, it’s time to do some self-exploration. Do you feel this way about being transgender? If yes, why? Do you consider it a bad thing? If yes, begin working on having a more positive relationship with yourself and your history. Talk to a therapist, parent, or trusted friend about it. Try to figure out why this feels so secretive to you and how you may be able to evolve into considering it private information instead. The truth is, no matter what information you have about yourself, it won’t ACTUALLY be the end of the world if others find out. You might feel exposed for a little bit, but you would be ok. If you feel like the “secret” getting out would be the end of the world, you might be spending more time feeling more worried or unhappy than you need to. Feeling like it is “private” instead may help you feel better about it in general and less worried about others finding out. 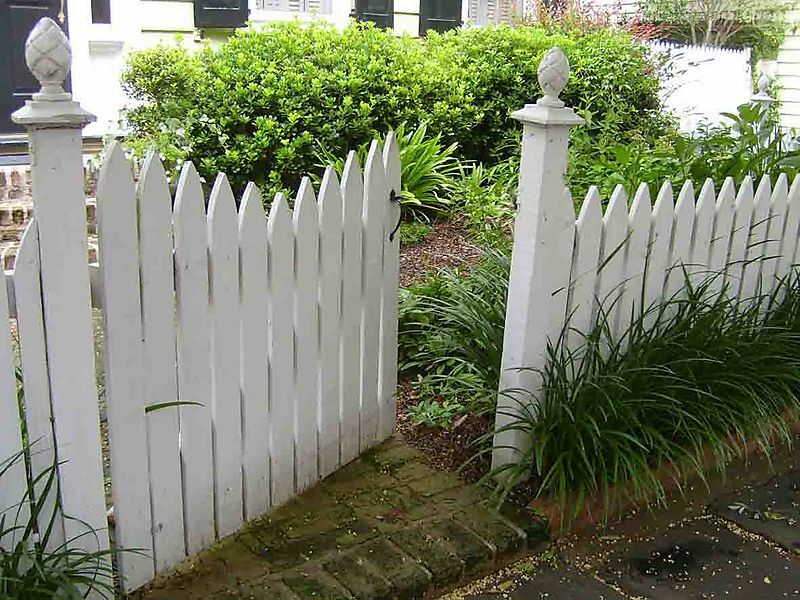 Here’s a visual for you: think of personal (private) information as being kept behind a fence with a gate. There is a boundary around the information, and not everyone can get in. YOU get to decide for whom to open the gate, or who gets to know your information. Remember that everyone you tell your private information to now has a key to the gate, and can let others in without your permission. This is why you want to stop and think before you share private information . Also, you can remind yourself that if others you had not intended to know find out, “It’s ok, I can handle this”. Think of having a secret as guarding it like a castle with a tall wall, drawbridge, and moat with alligators around it. You are guarding it very aggressively, making SURE no one finds out. The problem is, having such walls around you and guarding your secret can eventually make you feel very alone. This is why having a fence with a gate (private information) is better than having secrets (castle with many guarding factors). If you are transgender, where do you land on the “private vs. secret” spectrum? Do you have some shifting you can do? If you are sharing this blog with a child, please feel free to complete the attached exercise with them. (Some adults may find it useful, too!). Ask them to write down in the column next to the listed information whether the information is “private”, “secret”, or “open”.